The Uncle Drew character started as a series of ads for PepsiCo, starring Kyrie Irving as the old man icon, and the film begins with a rundown of Drew’s legendary 1960s b-balling, with an overview by ex-NBA stars including David Robinson, Bill Walton and Jerry West. Kyrie obviously loves his character, because he conscientiously is honorable in his performance. He’s even asked to do a touch of emotion while mourning an old girlfriend – in a scene with Shaq – and pulls it off. He had to inspire the rest of the crew, because all the ballers had fun with their characters. Standouts include Chris Webber as Preacher, who had to translate some church guys he has seen over the years. Reggie Miller is “Lights,” a sharpshooter who is now legally blind, and his attention to detail was highly comedic. And of course, Shaq needs no acting coach… he was the title character in “Kazaam” back in 1996. Lil Rel Howery comes off his scene stealing role in “Get Out” by portraying the standard Den Mother character to the rag-tag crew, but he has a natural comic appeal and has some good scenes with Nick Kroll, Tiffany Haddish and the old guys… the baptism scene by the Preacher is a slapstick highlight. The film’s toughest parts was the road trip to find the team – it’s a drag – but once they’re back for the tourney it comes to life again. Will they win? What do you think? But you still can’t help but cheer for them. 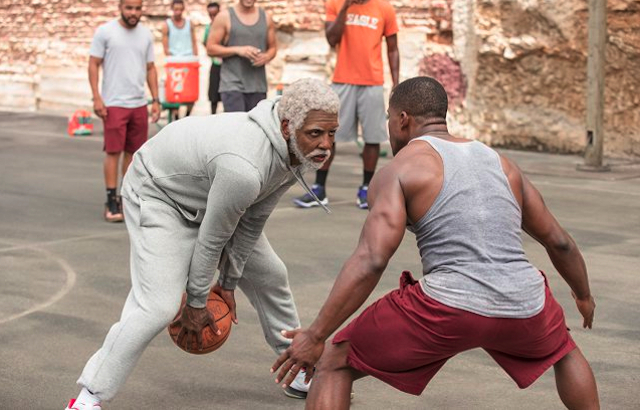 “Uncle Drew” joins the pantheon of basketball comedies like “White Men Can’t Jump,” “Semi-Pro” and “Space Jam.” Maybe an Uncle Drew sequel will pair him with the Looney Tunes and Michael Jordan in “Space Geriatric.” Hyyyyy-oooh. That joke could get me eaten by dinosaurs. Happy 4th of July. 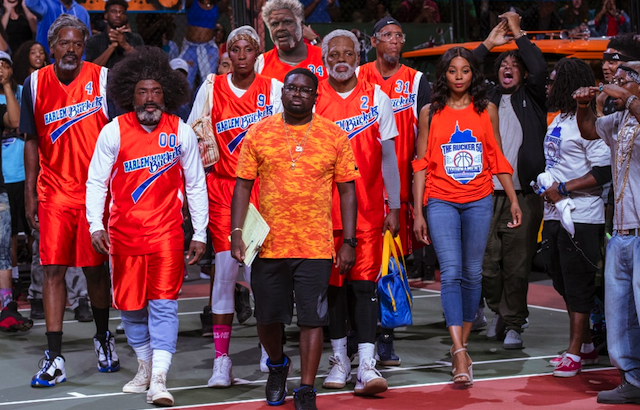 For an interview with Lil Rel Howery about “Uncle Drew,” with Patrick McDonald of HollywoodChicago.com, click here.